For nearly 100 years, the world’s explorers knew that Mount Everest, in the Himalaya mountains in Nepal, between India and China, was the highest point on planet Earth. Tenzing Norgay, an experienced mountain climber from Nepal, is shown here photographed by his climbing partner Sir Edmund Hillary, a mountain climber from New Zealand, on the morning of May 29, 1953, when they became the first people to reach the summit. Hillary, Edmund. 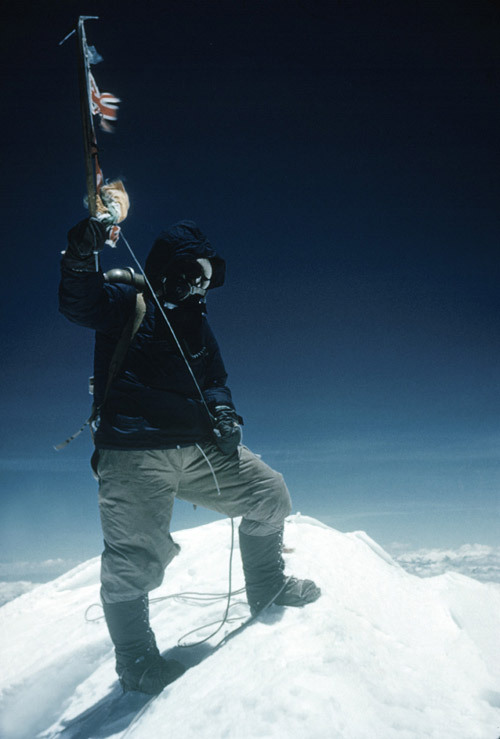 Tenzing Norgay on the summit © Royal Geographic Society. Accessed 26 August 2010.